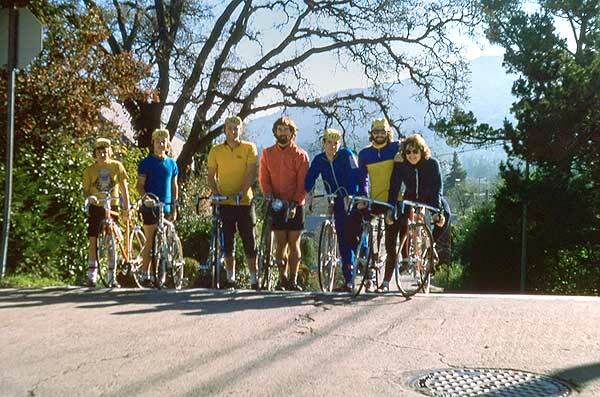 I used to race with the Los Gatos team back in the early 70’s. I was going through and scanning some old slides and I thought you might like the very first promotional picture that was put in the Los Gatos Times Observer in 1974 for the Cat’s Hill Criterium. Lorine’s son and a friend are to the left of Bob. The rest of the team not pictured (that I remember) was Jim Shore, Darcy Hildebrand, and Ross Rohrer.